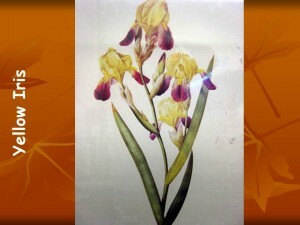 Since these are scientific drawings, the flowers are not arranged as you would find them in a STILL LIFE painting, but a STILL LIFE arrangement may still be used as a project. A Still Life is an arrangement of inanimate objects (usually on a table) that an artist paints in a picture. Cut flowers in a vase are popular for STILL LIFE arrangements, as well as potted plants. Point out the differences in the flower SHAPES, especially the two Irises. Discuss RADIAL BALANCE and how it applies to flowers (petals radiating, or moving out, from a center point). Be sure ALL 11 pictures are returned to the Packet Carrier after your Presentation is finished. When he was twenty-three, in 1782, Redouté made his way to Paris where he joined his older brother who worked as a painter of stage scenery for the Theatre Italien. Paris was an exciting and stimulating place for a young artist. For a short time, Pierre-Joseph also painted stage sets. In his spare time, he visited the Jardin (garden) du Roi where he studied and sketched the flowers and plants growing there. Gradually, Redouté found his true calling—illustrating flowers. Some of his flower drawings were published as engravings and attracted the attention of a wealthy, aristocratic, amateur botanist named L’Héritier. Botany was a science that, in the late 1700s, was popular among the well to do. At this time in history, many exotic plants were being introduced into Europe from colonial outposts around the world. 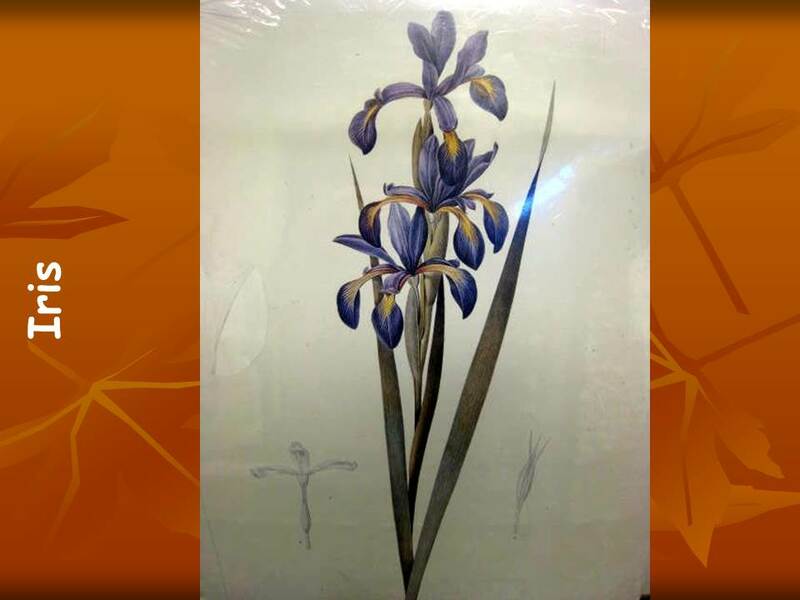 Serious botanists needed artists to illustrate their works. L’Héritier hired Redouté to illustrate many of his books and became a teacher to him in the science of plant anatomy. Redouté familiarized himself with the contents of L’Héritier’s private library and herbarium. He was soon creating detailed drawings that were scientifically accurate. In 1788, Redouté went with L’Héritier on a trip to London, where he learned the technique of stipple engraving. Stipple engraving uses dots instead of lines to shade a line drawing. The dots allow for more delicate gradations of tone and shading than the lines. The metal engraving plate works much like a rubber stamp. Usually the engravings were printed in black (like a coloring book) and the color was added later by hand painting. The new technique of stipple engraving allowed for more detailed tone and shading and made color printing possible. The engraved metal plate was inked by hand with a rag with various colors carefully applied to the areas where they would appear on the finished print. Only one impression could be made with each inking and then the plate would have to be wiped clean and colored again for the next picture. 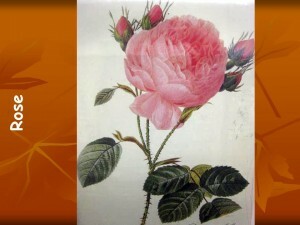 The process took much more time and was more costly than the more common practice of hand coloring black and white engravings with watercolors, but the results were much more impressive. On this trip to London, Redouté acquired this brilliant new technique for his artwork and under the direction of L’Héritier; he acquired the eye of a scientist. When Redouté returned to France the next year, he began to gradually adopt this new engraving technique. 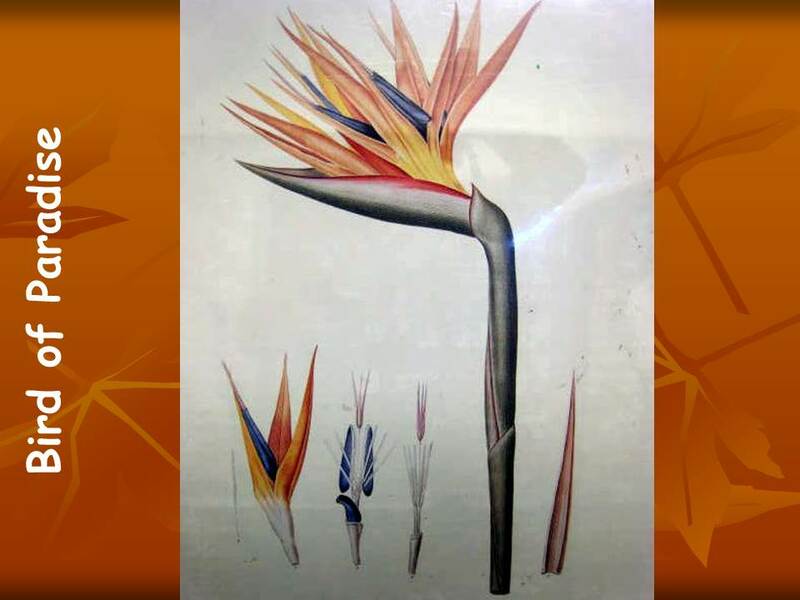 His published botanical (plant) artwork attracted the notice of a great Dutch flower painter, who had been active in Paris for many years, Gerard van Spaendonck (1746-1822). This artist was not only a fine painter; he was also socially and politically well connected. Van Spaendonck instructed Redouté in the great Dutch tradition of flower painting. Before he knew it, Redouté had received a royal appointment as master draftsman to the court of Queen Marie-Antoinette, and was her personal art-teacher. This appointment did not last long however. Marie-Antoinette was soon taken from her throne and executed in the French Revolution. Redoutés’ reputation grew. He had many works published. By the 1790’s, Redouté had developed his own distinctive style. From van Spaendonck he had learned to control the subtle coloring of his artwork with finesse. The scientific background L’Hértier had shared with him earned Redouté respect in the academic circles of Paris. His fame and the popularity of his work were spreading! 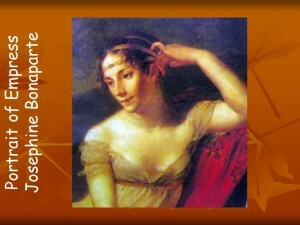 In 1798, Redouté entered into the service of Joséphine Bonaparte. The extravagant wife of Napoleon Bonaparte, and future Empress of the French, had just purchased the chateau of Malmaison, just outside of Paris. The large estate needed repairs. Joséphine spared no expense to restore the chateau and the grounds. Redouté’s brother was hired to decorate the inside of the mansion. Joséphine wanted to turn her gardens into something more than the usual pleasant retreat of pretty flowers and well trimmed shrubbery. She envisioned a botanical Eden filled with rare foreign plants that were the rage in 1790’s Paris. A large greenhouse was to be built and a staff of expert botanists and gardeners was to be employed. She also dreamed of a collection of exotic wild animals to inhabit her beautiful gardens. Redouté was hired to record and promote this extravagant project. Joséphine had ambitious plans for her gardens. Huge amounts of money were lavished on the gardens and hothouses, where plant specimens from all over the world were brought. Redouté documented these extensive collections in his own artistic and scientifically correct style. In time, he became a true friend of the Empress Joséphine and remained with her until her death, in 1814. In return, he received a generous salary and free time to devote to the publications of his artwork. Redouté also earned an income giving painting lessons to rich aristocrats. During the years that Redouté spent working at Malmaison, he accomplished much of his finest work. When Napoleon had his marriage to Josephine annulled, in 1810, Redouté, while remaining loyal to Joséphine, also served as drawing master to the new Empress, Marie-Louise. Napoleon once asked Redouté why he did not devote himself to themes that were grander and more heroic than floral models could provide. Quoting from the Roman emperor, Redouté replied that he agreed with Caesar that it was better to become an expert in a less showy field than to risk failure in a more glamorous one. • Redouté left home and earned his own living as an artist at the young age of only 13. • Ten years later he joined his brother in Paris, painting stage scenery. 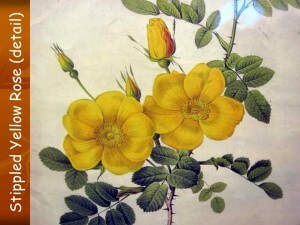 • Redouté had an interest in studying and sketching flowers and plants. • Redouté turned some of his sketches into engravings that were published. • The wealthy botanist, L’Héritier, L’Heritier noticed his work and hired him to illustrate some of his work. • L’Héritier taught Redouté about botany (the science of plants). • On a trip to London with L’Hertier, Redouté learned the art of stipple engraving. • Redouté’s work attracted the notice of a renowned Dutch flower painter who had been active in Paris for many years—Gerard van Spaendonck. • Van Spaendonck helped Redouté improve his art technique. • Redouté lived during the most exciting times of France’s history. 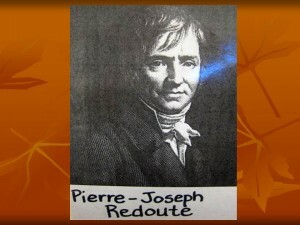 • Redouté was not only a great artist but also a renowned scientist in the field of botany. • Redouté died June 20, 1840, just before his 81st birthday. The extravagant wife of Napoleon Bonaparte, Empress Joséphine Bonaparte bought this chateau and wanted to fill its greenhouses with new and exotic plants and flowers. The large estate was in need of repairs. In 1798, Joséphine hired Redouté to choose the flowers and design the gardens here. She wanted to turn her gardens into something more than the usual pleasant retreat of pretty flowers and well trimmed shrubbery. Josephine wanted to create a botanical Eden, filled with rare foreign plants, so she lavished large amounts of money on the gardens and greenhouses that were built here. She wanted to hire a staff of expert botanists and gardeners and dreamed of a collection of exotic wild animals to in habit her beautiful gardens. Napoleon once asked Redouté why he did not devote himself to painting themes that were grander and more heroic than floral models could provide. Quoting from the Roman emperor, Redouté replied that he agreed with Caesar that it was better to become an expert in a less showy field than to risk failure in a more glamorous one. In time, Redouté became a true friend of the Empress Josephine and remained with her until her death, in 1814. In return, the artist received a generous salary and free time to devote to the publications of his artwork. Redouté also earned an income giving painting lessons to rich aristocrats. During the years Redouté spent working at Malmaison, he accomplished much of his finest work. The roses in Malmaison’s greenhouses were some of the most beautiful and famous engravings Redouté ever created. Do any of you have a flower like this in your yard? The Iris blooms in the spring. They come in many colors—purple, pink, blue, white and sometimes (like this one) in two colors. Many gardens include iris. Most of Redouté’s flowers are just the flowers themselves. This illustration is one of just a few examples in which he has included insects. 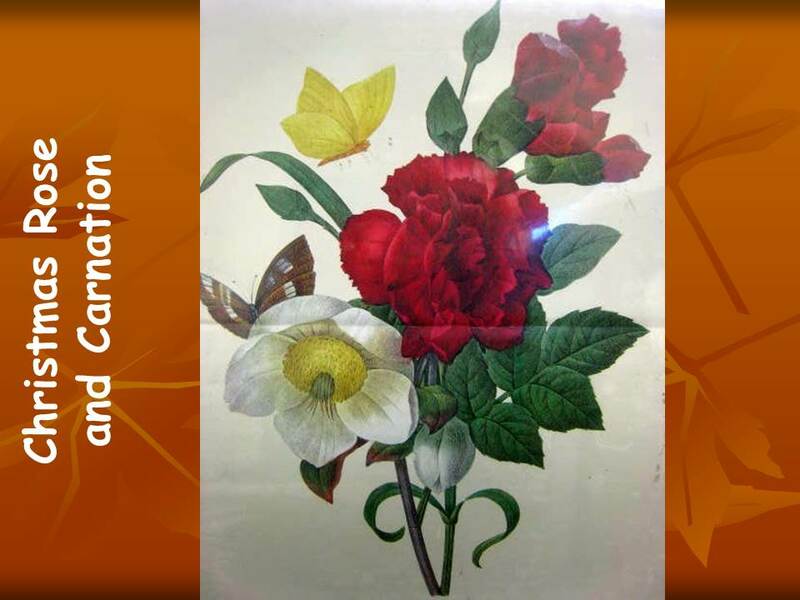 Notice how the yellow butterfly (at the top) repeats the color of the Rose center. The Carnation has buds (at the top) that have not opened yet. Can you find the bud of the Christmas Rose? Look at the bottom of the flowers between the two stems. Consider bringing in a real rose or carnation for the kids to smell. Kids retain information better if you stimulate more of their senses during a presentation. Smell is something that works exceptionally well with this packet but cannot often be used with most other presentations. 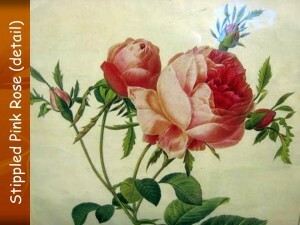 Redouté was BEST known for his breathtaking paintings of roses. 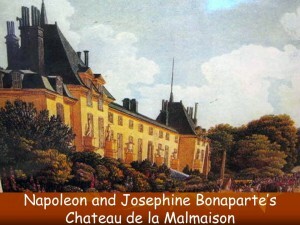 Most of his rose paintings were created from the beautiful rose gardens at Malmaison Chateau, which belonged to the Empress Josephine. Empress Josephine, the first wife of Napoleon Bonaparte, employed Redouté for many years. Do any of you have roses in your yards? Can you tell me any other colors that roses come in besides pink? 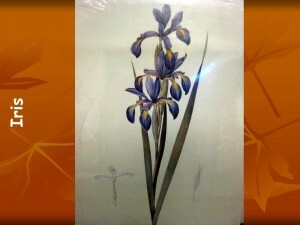 This is another type of Iris. How does it look different from the other Iris picture? Notice how Redouté has drawn the different parts of the Iris at the bottom of the picture. This is a very close-up view or “detail” of a Redouté STIPPLE ENGRAVING of a rose. Look closely and you will notice how the artist has used very tiny dots to SHADE the flower. Place all of the rose prints side by side. Compare the varieties of roses. How are the roses similar? How is each rose different? Compare the Iris prints in the same way. • Make a torn paper project of a flower bouquet. Kids tear their flowers from colored paper. No scissors are used. Leaves and stems must all be torn from paper. No drawing. All details (centers, spots) are also torn from paper and glued on. • Illustrate a flower garden using only cut colored paper. No drawing. • Bring in a single flower in a vase. Paint with watercolors and outline with permanent, fine point marker or… draw bouquet with charcoal (Grade 5 this can be messy) or… draw with pencil and color with crayons or markers. Shade drawings using stippling (small dots). • Bring in several vases with different flowers (real or silk). 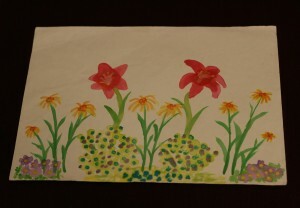 Divide into groups and give each group a different flower or small bouquet to draw or paint. Keep bouquets small, with only 3-5 flowers. Single flowers would be easiest. • (K-1) Create cupcake paper flowers. 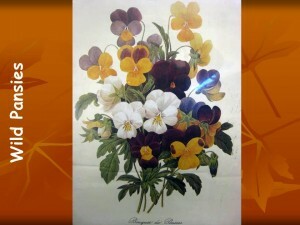 • Create a simple Pansy by cutting five small colorful hearts for petals. Create a bouquet of Wild Pansies with the same colors of paper as Redouté. Do not forget to cut leaves and stems. Pay attention to the SHAPE of the ruffled leaves. • Make leaf prints with an inkpad. The more types of leaves the better. Make wrapping paper, cards, book covers, or bookmarks. • Make leaf rubbings with crayons and a varied assortment of leaves. • Bring in flower catalogues, seed packets, sunflower or ANY kinds of seeds, leaves, flower stickers, rubber stamps of flowers or plants, wallpaper, fabric or wrapping paper with flowers and have kids create collages. 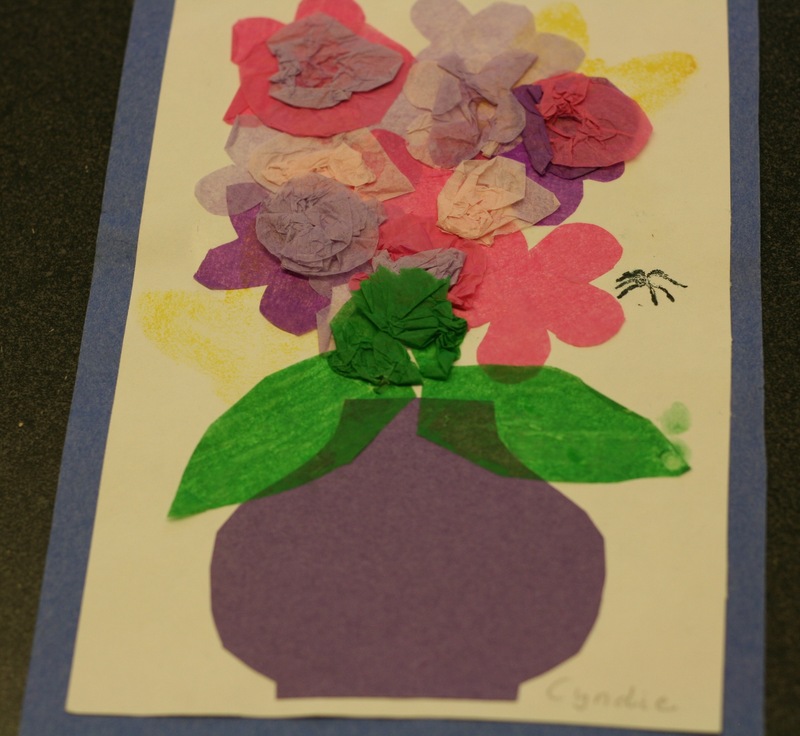 • Bring in a houseplant for kids to draw, paint or create from cut paper. Use a silk houseplant if you do not have a real one. Create a Still Life scene by adding books or other props. Discuss what a Still Life is. Explain that flowers, plants, fruits, vegetables and vines are popular props for Still Life. 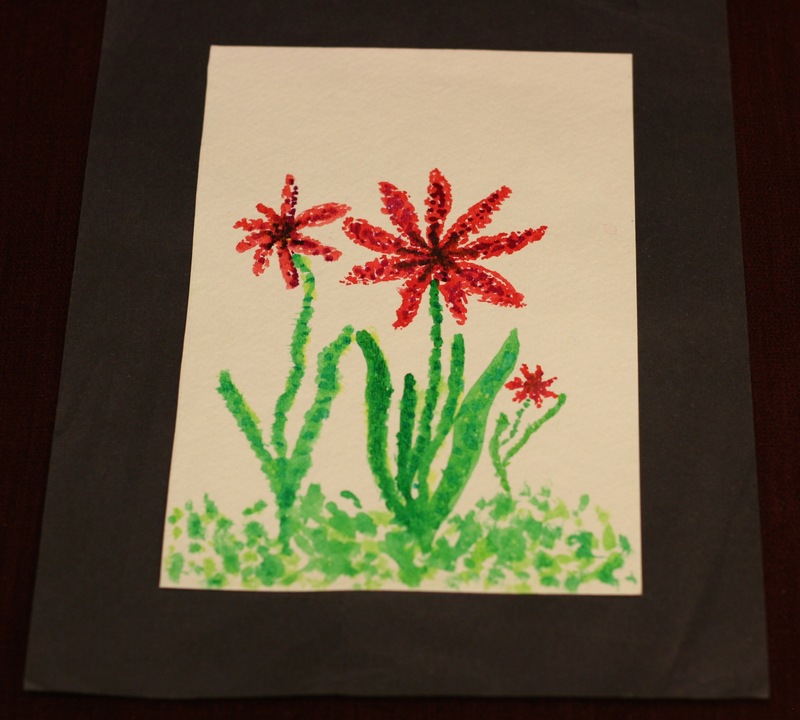 • Create flower prints with tempera paint and different veggies and fruit. Cut a head of cabbage in half to create gigantic flower centers. Press the cut edge in a tray of paint and stamp in the center of a large paper. This is the center of the flower. The outside petals can be created using a cut potato, orange or apple dipped in paint and stamped around the printed cabbage center (what you use for petals may depend on how much room you have left). For smaller flowers, use things like cut carrots, radishes, celery stalks, and broccoli. A variety of vegetable stamps are usually more fun! After paint is dry, draw stems and leaves on the flowers. • Illustrate the Art Discovery seed packet templates (ask Coordinator for these) with a colorful drawing or painting of the labeled flower the seeds should grow. • After the following activity, let younger kids cut out their own snowflake, sun and raindrop. Glue these SHAPES to a piece of paper and draw a flower. Lead the class in a demonstration as they follow along in folding the snowflake and cutting it. Display your props used for the activity as they create their own versions. ☺ Let younger kids grow from a seed to a flower. Have them roll up in a ball on the floor. Tell them they are sleeping seeds, buried deep in the cold, dark ground. Bring out large snowflake shape or picture. Tell them to sleep through the winter while the snow is on the ground. Bring out a large sun. Spring is coming and it is getting warmer. Tell them to open their eyes. Stretch up one hand as the seed starts to sprout. Bring out a large raindrop. The spring rains water the seeds and they begin to grow taller. Stretch up second hand. Stand up, slowly and gradually, to grow. Hold hands out to the sides for leaves and become a full-grown flower. Move from side to side as the wind blows. Smile at the sun!